Over the past nine years, Fox’s hit TV reality show American Idol has produced a showcase of musical talent. After leaving the show, some of the newly-discovered talent has made it big — none moreso than Carrie Underwood. Some has flopped. If his debut album is any indication, 2011 American Idol winner Scotty McCreery is going to be one of the former. Clear As Day, released last month, is unusually good for a freshman record. In its first week, Clear As Day sold nearly 200,000 copies, becoming the first debut album from an American Idol winner to shoot to top of the Billboard 200 charts since Ruben Studdard’s Soulful in 2003. Not even Underwood accomplished that. 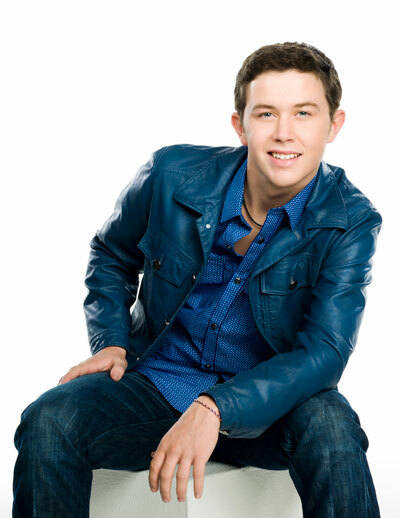 The album became the first country debut album to ever top the charts, and at only 18 years of age, McCreery became man in any musical genre to see his debut record go to No. 1. It’s a good album. It’s also a breath of fresh air for country music, which is laboring for an identity with an influx of new talent that has gotten far away from the genre that the likes of George Strait, Alan Jackson and Reba McEntire transformed in the ’80s and early ’90s. Clear As Day is what country music is supposed to be, from the acoustics to the lyrics. The themes introduced by McCreery are classic country-and-western. He sings about countryside romances, family, faith and redneck blues. Not surprisingly, the album has not gotten rave reviews. In fact, its reviews have been mediocre, with most critics rating it only average. That’s to be expected. Traditional country doesn’t fare well with critics these days. Garth Brooks in his heyday probably couldn’t have pleased today’s critics because there wasn’t enough pop in his country. But within those reviews lie clues to just what makes this album so good. USA Today, which gave the album two out of four stars, wrote that it is “strictly paint-by-numbers country.” Yeah, so what’s wrong with that? In an age where paint-by-numbers country is getting pretty doggone hard to find, I’ll chalk that up as being a good thing. Well-used Bibles, pickup trucks and women are what country music is supposed to be about, no? McCreery’s voice isn’t the carefully crafted voice that is going to lull serpents to sleep. His debut isn’t necessarily a symphonic masterpiece. But that isn’t his style. His voice is, however, unique. If he sticks with country music and matures as a singer, he could easily become a voice that is instantly recognized on the radio, a voice that can replace the Straits and Jacksons and Travises that are quickly aging and will soon be hanging up the mic. There really aren’t many bad songs on Clear As Day. The whimsical “Write My Number On Your Hand” (She climbed up an oak tree and double back flipped / River-drenched bikini sittin’ pretty on her hip / So we shared a Coca-Cola sittin’ on a log / And I was wantin’ to kiss her like an ol’ bullfrog) is among my favorites, as is “That Old King James,” a tune about a family Bible passed down through the generations (You’ll find on every other page / Yellow lines or tear-dropped stains / Every chapter of that good book / Been through cancer, war and crazy kids / All the stupid, crazy things I did / I may never know the toll I took / On her and that old King James). “Dirty Dishes” tells a story of life’s simple pleasures (Then she prayed the strangest prayer ever said / I want to thank you Lord / For noisy children and slamming doors / Clothes scattered all over the floor / A husband working all the time / Dragging in dead tired at night / A never-ending messy kitchen / And dirty dishes). And “Out of Summertime” is the typical country tune about summer love (Spent a few weeks out on a lakeshore beach / Carved our names high as we could reach / On an old wooden pier / We made plans we planned to keep / 300 miles from her to me / And her senior year/ Oh, she could’ve been mine / But we ran out of summertime). Maybe the critics are right: maybe it is just tired ol’ country. Maybe it is just retreads within the genre. But take it from a music fan who has been drifting further and further towards classic rock: more albums like Clear As Day would be just the thing to drag me back to country music. 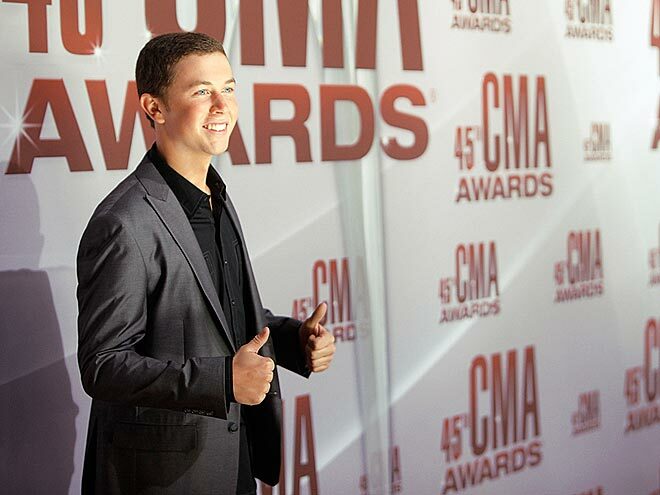 American Idol chart-topper Scotty McCreery tells PEOPLE he's a "Levi jeans and tennis shoes guy," but his John Varvatos jacket gets a major thumbs-up during his CMAs red carpet debut. A mini concert from Scotty McCreery at Burlington High School in Burlington, Wisc. ended in a rowdy Q&A session that included the 18-year-old singing ‘Happy Birthday’ to a student named Amanda. It’s a birthday and a concert she won’t soon forget. The students were part of a contest to raise the most toys for Toys for Tots. Radio station FM 106.1 hosted the contest and selected BHS as one of five finalists for the grand prize: a visit from the ‘American Idol’ winner. Over 10,000 toys were collected total, with Burlington High collecting 2,700. “Even bigger than you think,” McCreery quipped to the shock of the audience (and, likely, the staff). Fun Q&A session that Burlington HS did with Scotty. FM1061 Milwaukee has also posted some performance videos of the mini concert on their YouTube site. I believe this means whoever hasn't added him should add it! With 54% reporting Scotty is back in the top 10 at number 9. We'll keep this post updated through the day!